Red Dead Redemption 2 is definitely going to be remembered as one of the most successful games released during the current console generation. 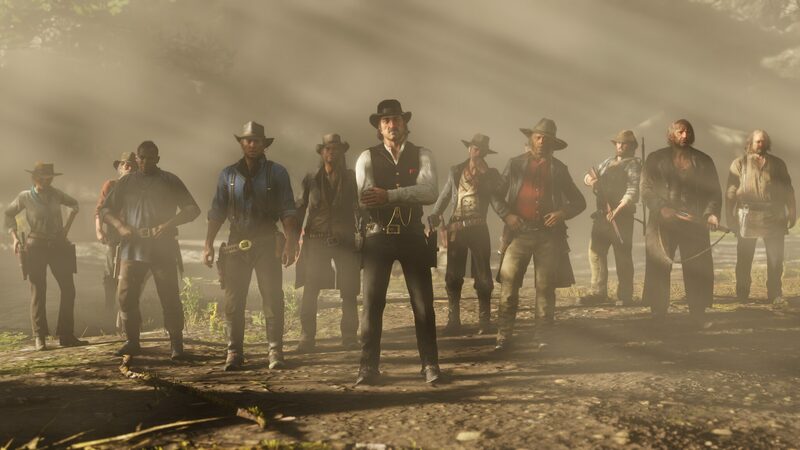 The open world game developed by Rockstar Games managed to double its launch sales compared to the original game in the UK, and it did even better in the US. According to the latest NPD data, Red Dead Redemption 2 tripled the Red Dead Redemption launch sales, managing to become the second best selling game in October 2018. Both games are also the best selling games so far in the year. Red Dead Redemption 2 rightly deserves all the success it’s been having, as the game is one of the best open-world games ever released. Red Dead Redemption 2 may not be perfect, but its minor shortcomings are like tiny blemishes on a stunningly beautiful face. In a way, they only serve as a reminder of how this world isn’t made for perfection. Every single aspect of the game will put you into the very shoes of an outlaw roaming America with his gang as they try to escape the law long enough to make the money needed to disappear for good. It’s an epic, memorable and engrossing tale which also elevates the open world genre to new heights with the brand new interaction system, a cast of unforgettable characters and a ton of high-quality content to play for a long time. Red Dead Redemption 2 is now available in all regions on PlayStation 4 and Xbox One.